How to build a carpooling app like Uber? wheelers running over the road 24/7. Alongside, the increasing population makes a negative impact on the traffic system. Which gave rise to the idea of, “What if, the public start sharing the vehicles?”. What has started from just “What if” has now taken the form of a huge industry? The trend of carpooling has significantly risen over the years and the credit goes to the giant wire-pullers of it like Uber. What is a carpooling app? Carpooling app is a mobile-based application which facilitates the ride sharing for the person going for the same route. Here, the user is availed with the mobile application which has ride-sharing service enabled that tells the information of the vehicle moving over the same route. The same query is passed to the driver along with the location shared by the user. Here the idea s to share the cost of the ride which in turn saves the ecosystem. With the huge investments from business conglomerates, the ride-sharing app is thriving too well. According to an estimate, there are around more than 90 million vehicles plying over the road over around the globe among which 90 percent goes with 3 seat vacant at the same time. Riding the shared vehicle result in a great reduction in the greenhouse gas effect. Cost saving and cheaper than the owned vehicle. Little to no cost overhead of maintaining the vehicle. Fewer cars on the road and well-managed traffic. How it different carpooling App from car app? Here, it is a viable choice for the stakeholders to understand the basic difference between the car app and carpooling app. Car apps: The car apps are applications which aid the operability of the car functions. when integrated with the phone. The Bluetooth connectivity system is its most suitable example which allows picking the call without even moving hands from the steering, The car apps are developed to make things easier for the rider whereas the carpooling apps share an entirely different scenario. Carpooling app: These apps are oriented to promote the use of the shared vehicle. The concept started during World War II and gained popularity in the 70s. Gradually, the ride-sharing carpool apps became the most convenient medium for daily commuters. This way, the cost is reduced, the environment is improved and social circumference also pushed its boundaries. Starting the carpooling app company is really a big investment which involves the capital investment over the vehicles for commuting and the large capable apps for adding the private drivers with your company’s network. Here, we will discuss the development of a carpooling app with putting the industry giant Uber at the comparison scale. Building the app like Uber, you must take a look at the features of the app like Uber, Grabtaxi etc, while at the same time presenting something unique for your customers. Then only your app can gain attention. For this, what’s needed is to create the niche. Offering similar services poses a serious competition for your startup venture which is hard if not impossible to beat. Devise the new plans of your business, and wireframe them onto the prototype. Be specific and features with your service. Here are some must to have features which we can also say the basic requirement of an app. User-friendly: The customers always like to use those applications which are user-friendly. In the case of carpool app, there should be an easy way for the riders to search for the ride. The carpooling app should be easy, should take very fewer efforts to access it, and should take less time. So one of the important features for carpooling app is to search for the preferred rider at lower cost effortlessly. It’s very important that the customers should not face any problem or hassle when they are searching for the rider when they want to reach a particular location. If the customer is finding or typing any location should be easily available on the app so that they don’t face any problem and can get whole details of the car and driver they are traveling with. Choice of service type: The user must be offered the choice of service/taxis to hire. You can always segregate the service into three sections, basic, standard and premium according to the waiting time, and luxury of car, where the prices can also differ. Socializing feature: The app can also be given the socializing functionality where the daily commuters can build relations. Social media is not in fact directly related to the ridesharing business but relegates the business with customer engagement. User profiling: Daily commuters are very less interested in filling their details daily while calling for the taxis. They must be provided with the profiling, where they just need to click over the “Call taxi” button, and service is delivered to his registered place. Chat and Contact details of the driver: This is must to have the feature of a ride sharing app. Here as the customer books a cab he must be shared with the contact and that details of the driver for convenience. Reviews and ratings: Although you must provide the customers with the insured vehicle and licensed driver, still the security and comfort of the customer is the priority. The customer or rider must be able to rate the driver and provide the feedback for the behavior of the driver. This way you can do more to satisfy the customers. Above are just the basic requirement of a carpool app like uber whereas the actual application depends on the nature of your business and your expectation from the app. Whatever be your business plan, put everything over the paper and then try to include them into the app. Because app like Uber is the only interface of your business to interact with customers, so more you offer, more you will reap out. Conclusion: how matellio can help you? Carpool app is a huge app with a long roster of features. Hiring an outsourcing developer can spoil the product, due to the lack of management. For this, you need a team of a competent developer or the experienced company. Matellio could be your credible partner in developing the app with competitive pricing. 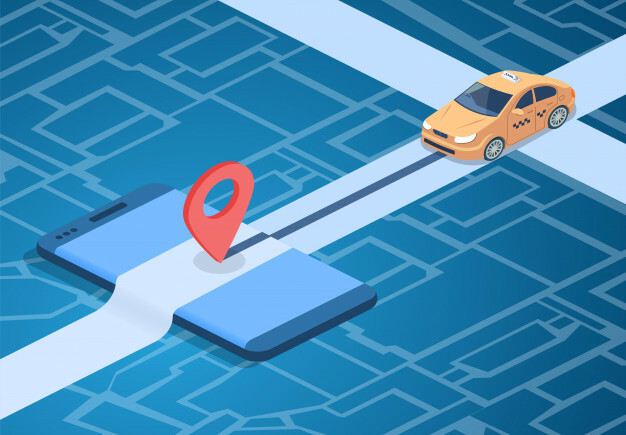 The company is renowned for the strategic technologic consultation and possess the vast experience in developing the on-demand carpooling apps using the effective product strategy. What actually matters while choosing the development company is the support. The on-demand Carpool app is not the one-time requirement, In fact, it demands the regular updates which requires continuous support. Your idea can be a success, what is needed is the right implementation. ← What are the top benefits of Hybrid App Development?